Just because I mentioned this flower in the previous post, I will upload this image. It seems to be the only photo I have taken of Queen Anne’s Lace. There is some Brown Eyed Susan growing with it. 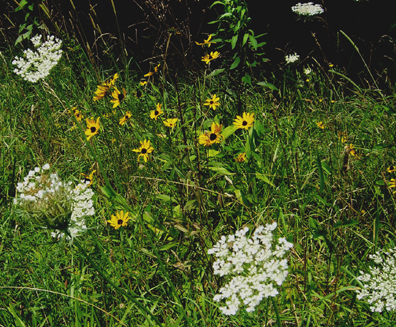 Queen Ann’s Lace is listed as a noxious weed and invasive plant by the Minnesota Department of Agriculture. Guess not everyone finds it attractive.